The Globes are over, the winners were “Argo” and “Les Miserables.” Now what does it all mean? Not much, I’m afraid. 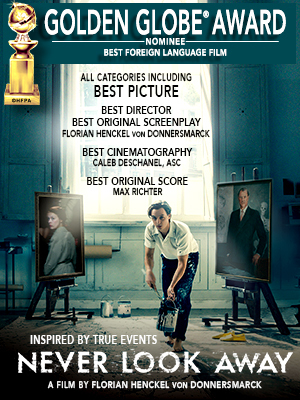 The winners of the acting awards may very well continue on to the Academy Awards. Daniel Day Lewis has the edge over Hugh Jackman, and Jennifer Lawrence is probably leading Jessica Chastain in the lead categories. There’s still a chance for either of the those other two, and even for Tommy Lee Jones– although the look on Jones’s face during the Globes show was priceless. He is not amused, considering his knockout work in both “Lincoln” and “Hope Springs” this year. We do know that Anne Hathaway is waltzing away with Best Supporting Actress in “Les Miz.” Even with some hope for Sally Field’s wonderful performance as Mary Todd, the Hathaway train seems to be rolling. Field is such a sport that she doesn’t seem to care, is just enjoying the whole thing. She’s really an example of how to be a leader among Hollywood stars. With a longer than usual period for voters to watch and consider movies, this may turn out to be a blessing in disguise. Most Academy voters have already been deluged with Lincoln, Argo, Les Miz and Zero Dark Thirty. Silver Linings, for many, will be their “new” movie and last one watched in a long campaign. It may also seem the freshest. DeNiro is said to be on board for some campaigning. You never know. If “SLP” has a great weekend coming up, there may be shifts in the winds. Basically, it’s all about the Screen Actors Guild. Their Best Ensemble Award will be the most indicative of how things will go on Oscar night. The SAG Awards is a two hour show, on a Saturday night, and usually not so important. But with a wide open field, SAG is going to find itself very popular this year.